Besides team practices which are typically 1-2 times per week, Classics AAU Basketball also encourages players to further develop their athletic and basketball skills outside of the normal team practices by participating in individual training programs to improve athleticism and/or basketball specific skills. These training programs are also designed for players who may not have been selected for a Classics club team, have decided to take some time off from a team and focus on improving themselves, or for High School grade players to prepare for their High School team tryouts in November or to get ready for the Spring-Summer AAU team season. 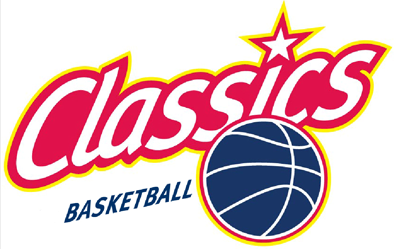 Classics AAU Basketball offers several different options and programs for players to participate in through either other training organizations that Classics has affiliations with or directly run by the Classics AAU Club. For the 2018-19 school year, the following programs will be available for players to participate in to augment their skills - additional information on each is below. 3. Classics Basketball's Friday Night Hoops! - Back for Winter and Spring! Julian Vaughn's Pro Fit Basketball - SPRING PLAYER DEVELOPMENT PROGRAMS! Tryouts are over and it is now time to get serious about team and player development as our club teams head into the spring-summer season! Developing high perfromance requires more effort than just two practice per week, and the Classics-Pro-Fit Academy is the place to be for the spring series. There will be two Options for the Spring Player Development Program! 1. NEXT LEVEL SERIES TRAINING - For those who feel their children are already at the intermediate/ advanced level, or members of the Winter PDP class looking for more of a challenge in skill development, you will be able to jump right into our NEXT LEVEL classes. Everyone interested in NEXT LEVEL will be able to use the promo code Spr19 from February 7th - March 15th for 35% off on all Next Level Training Packages. After March 15th has passed, Classics members will get a new promo code for 10% off all training packages for the duration of spring training! Regardless of the Player Development path you choose for your player, they can do all workouts whenever they can get them in. No penalties for rescheduling, just cancel and find another day that works within the 3 month timeframe. Logging in to reseerve, check, change your desired training session will take place on the Pro-Fit Basketball website thru the accounts you will set up at signup. Subject to change weekly, but will have at least 2-3 offerings every day listed on the schedule page for you to sign up between the Basketball and Sports Performance training sessions, except for Sundays! MORE ABOUT PRO FIT BASKETBALL - At Pro Fit Basketall, we offer Basketball & Strength Training programs for boys and girls of all ages, regardless of skill level. If your goal is to just improve your general skill set or to have a chance to compete at the collegiate level and beyond, Pro Fit has a program for you. Training is always done in small groups to ensure maximum one-on-one attention is given to all our athletes. Our certified trainers have years of high-level collegiate (NCAA D1) and professional experience (NBA/ Overseas) in their respective sports. We bring college/ professional level drills, attacks, concepts, and techniques to our clients early to better prepare them, and give them an advantage over the competition. In addition, we have NASM certified strength trainers to help our clients reach their maximum potential as athletes. Pro-Fit Basketball Training – Sessions are held everyday (By appointment only) and scheduled through the Pro Fit website. Be sure to use your Classics Basketball club member discount code to get reduced rates!! (If you dont have the email with that code, please contact Coach Andy). The Classics-Harding Hoops training program is designed to provide advanced basketball skills development training in small groups for Classics players who want to further improve their basketball skills outside of regular team practices. There are multiple evenings to choose from so players would not miss a team practice session. The skills academy program will provide several key elements to enhance a player's development to a higher level of performance. Harding Hoops Sessions will be on Mondays for 2018-19. Harding Hoops Elite Player Development program is available for players seeking additional private training opportunities. Former professional player Andrew Harding works with players at all levels –grassroots to Professional. The goals of the program are to develop elite individual basketball skills, confidence and overall understanding of the game. For more information contact Andrew directly by email at Andrew@Hardinghoops.com or Call 301.785.3517 and visit www.hardinghoops.com. Friday Night Hoops is a non-team, open session and is ideal for younger athletes including 1st-5th graders and for other players who may not make or be able to commit to one of the Classics AAU club teams and wish to work on improving their fundamentals. These clinics are designed to improve your skill level, build a foundation, and keep you in the basketball mix. We will be focusing in on dribbling, passing, shooting and offense and defense techniques along with team drills and team play. It is very important to remember the more you practice, the better player you become. You should expect to improve your fundamental skills and learn team-work skills. We hope to be able to form competitive teams out of the participants or refer them to our current AAU Club teams and coaches to further growth and development. Player costs are either for seasonal package or number of sessions and include an AAU membership. Drop in anytime $30; 5 or 10 session packages: 5 Sessions $100; 10 Sessions $160. Sibling discount available. Current Classics team members, please ask for your pricing plan. Click Here for registration form - print out fill out and bring to first session! Classics Basketball in partnership with Brad Pinchback Basketball offers additional player development programs for Classics AAU Basketball club members. Brad and his trainers are full-time basketball player development coaches, who work primarily with players from the middle school level all the way up to the professional level (Brad has played in the professional Premier Basketball League). Brad has trained or coached over 100 college basketball players including current and former Classics players now in high school and college such as Chynna Smith, Emanuel Hylton, Enzo Bascon, and Bryan Knapp to name a few. Sessions will focus on accelerating a players individual skills and instilling an understanding of the games fundamentals. More information on Brad can be found at www.bradpinchbackbasketball.com, www.facebook.com/bradpinchbackbasketball, or you can follow Brad on Twitter @bradpinchbackbb. He also has several videos on Youtube. To register, email Brad at bradpinchbackbasketball@gmail.com, and sign up directly with Coach Brad. For information on additional training sessions on different nights, please contact Coach Brad for dates, times, locations and pricing. Clyde Singleton and his Explosive Motion Hoops Basketball Academy. The academy is available for players seeking additional private and/or small group training opportunities. Training will focus on basketball skills, development training, and strength and conditioning. For information on additional training, please contact Coach Clyde directly to discuss Coach Singleton has played basketball at the collegiate level as well as for the United States Army. He went on to coach both AAU club and High School teams in the WCAC Conference at both Holy Cross Academy (WCAC Champions) and Saint John’s College High School. Clyde has over 25 years coaching experience and has coached, developed, guided and trained countless players to take the journey from middle school to college and professional both in the NBA and WNBA. One thing remains the same with Coach Clyde his passion for helping young people reach their goals while preparing them for life's challenges. On the field. On the court. And even when it comes to getting the scholarship or the contract…those athletes come out on top. That’s why we’ve partnered with True Athlete Performance for a Speed & Jump Training Clinic. How would you like to get this competitive edge and gain the confidence knowing that you’re going to be able to go through or by a defender…That is exactly what we are going to help you unlock with this clinic! This program does NOT teach basketball skills. It is TrueAP's job to produce great athletes that have the power, speed, agility, and quickness to make those skills much, much more valuable! TrueAP trained athletes become explosive and fast have a huge competitive advantage over those who simply focus on sport skills. You’ve seen how much importance has been placed on combines, showcases and other ways of measuring an athlete’s athleticism…and with good reason. 9 times out of 10, the stronger, faster athletes win. Learn how to unlock their athletic power by starting to train explosively. Discover how to properly prepare for competition to maximize performance and prevent injury. Maximize movement technique to gain speed, agility and quickness in just a few short weeks. For more information or questions on any of the above training programs or if you are looking for other days/locations of training programs , please email (info@classicsbasketball.com) or call Coach Andy at 301-706-6902. © 2014-19 Classics Basketball, Inc.